Every four weeks we have a whole Afternoon of Blues workshops and a splashing party with live music at night. The next edition, March 30, is all about the Jookin’ & Struttin’ style of Blues dancing. Our special guests, friends and fellow teachers Isabel & Fionn from Rotterdam will teach the afternoon classes. They have spent a lot of time studying Struttin’ Blues and are happy to share their knowledge with the Amsterdam scene. 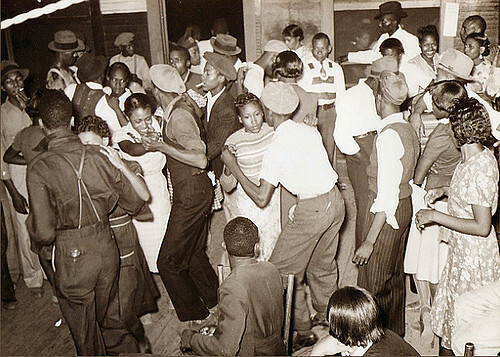 Jookin’ blues is one of the more primitive form of blues dance that was done originally on rural plantations anywhere laborers could find a space and instruments to dance. People just danced the way the music moved them. The dance movements and techniques are pushed into the ground with each step, with dancers typically staying in a limited place because there was often not very much room and dancers try to improvise with sharp, repetitive hip movements. The dancing transitioned into the cities when house parties and rent parties became very common. Then moved to Juke Joints in the rural areas where the term Jookin’ blues got its name. These joints were typically small bars that played live music. Struttin’ is one of the Blues idiom dances, a family of African American Vernacular dances, danced to the many styles of Blues music. It is original from Memphis, Tennessee (USA) that was danced in Juke Joints throughout the 1940’s, 50’s and early 60’s to Blues music of medium to high tempos. We know what you are thinking: high tempos in Blues? Yes, that’s what we are talking about! This dance feels and looks like you are lightly jogging together around the dance floor, in a “lean in” close embrace position that allows for all the playfulness that independent lead & follow footwork variations bring to the dance! 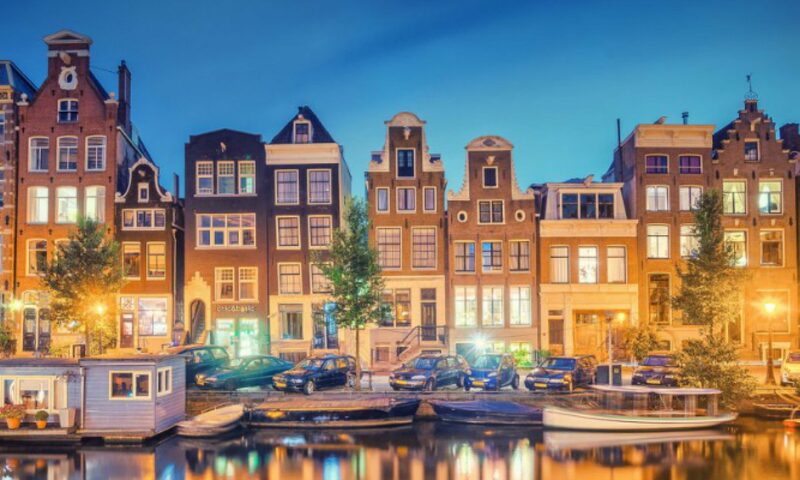 We are a bunch of Blues dance fanatics sharing our passion in the beautiful city of canals, bikes and naughty red lights, Amsterdam! Our Blues dance scene is young and growing, now with weekly classes, a weekly social dance, a monthly theme workshops and a monthly party with live music. We also organize at least one international festival each year. 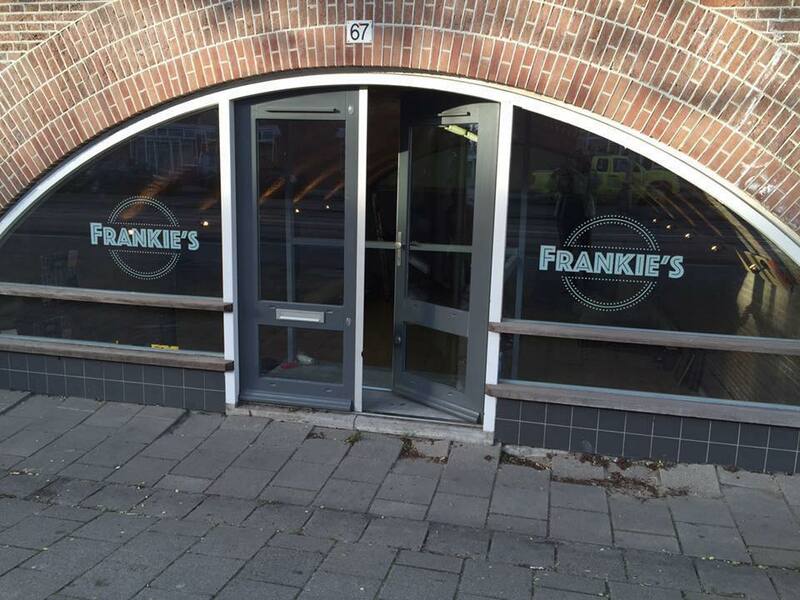 Our home is Frankie’s, a studio dedicated to Swing & Blues dancing in the center of Amsterdam.